For the couple who wants a real-life baby shower. You know what we mean! You want a baby shower that everyone can attend, guys and gals. You want a baby shower where the food and beverages are meant to be consumed, not admired. And you want a baby shower where the best gift of all is a great turnout of friends and family. 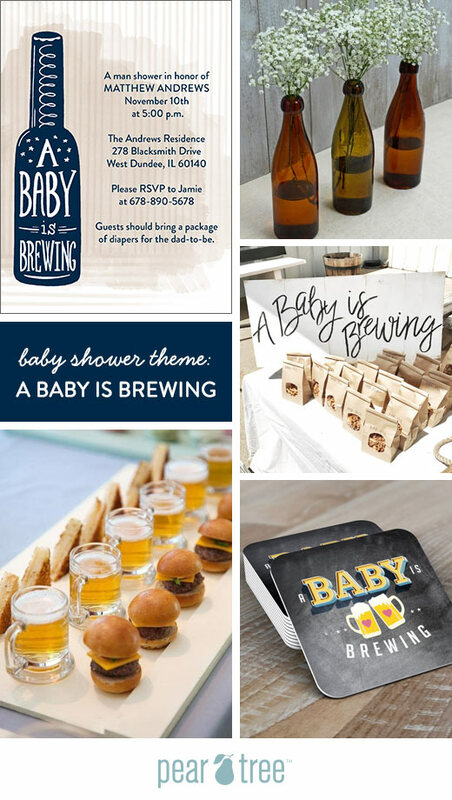 A Baby Is Brewing is the perfect baby shower theme for you! Offer a sampling of beer, a few tasty appetizers and some desserts for everyone to enjoy. Sending Baby Brewing Invitations is a great start to an awesome party in honor of your little one.